Listen to the current political discourse in this country and it quickly becomes evident that our nation’s political system has serious problems. Instead of an environment of discussion, analysis and compromise, our political debates have become filled with emotional rhetoric, vilifying of opponents and hateful name-calling. This is by no means a new phenomenon brought on by the 2016 election. Anyone who has been paying attention knows this extreme tension has been building for years. And while there is a lot of finger-pointing and debate as to who is at fault, the cause of the problem is glaringly obvious to anyone looking in the right places. The American system of government is broken because it is missing a vital ingredient – the moderate. The American political spectrum is made up of many parts. But, essentially, it has four major segments. You have people on the far right and far left pushing and pulling the direction of our country back and forth, driving our philosophical debates. Then, in the middle, you have right-leaning moderates and left-leaning moderates. This is where governing happens; this is where compromise is reached. The problem is that political system is currently missing some pieces. 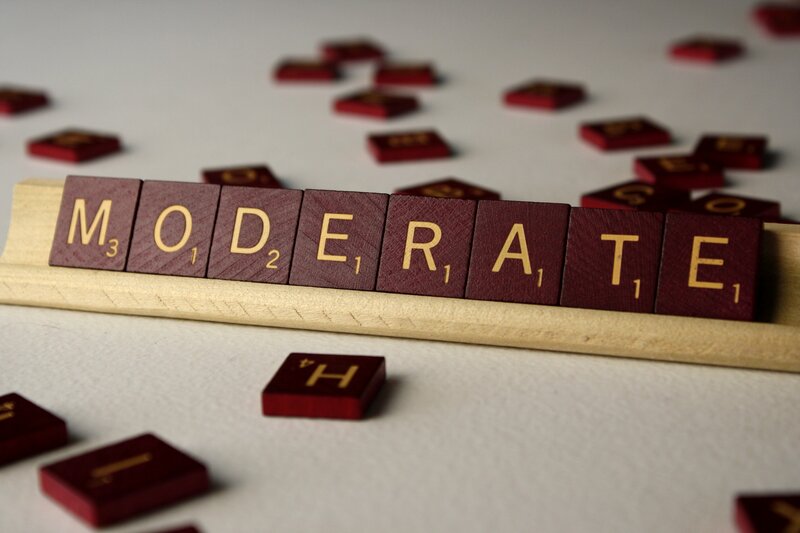 The most glaring missing piece is the right-leaning moderate. In recent years, conservatives in the Republican Party have systematically purged the party of moderates. Far right candidates campaign on being farther right than their opponents. They tout their conservative credentials, declare their unwillingness to compromise while saying they will stand strong and fight if elected, and even go so far as to condemn political opponents as traitors and their ideas as treasonous. In 2004, Republican Speaker of the House Dennis Hastert mocked Senator John McCain, questioning whether he was really a Republican after McCain questioned whether it was fiscally responsible to cut taxes during a time of war. During the 2012 presidential campaign, Newt Gingrich vilified Mitt Romney by calling him a “Massachusetts Moderate.” And, earlier this year, Maine Governor Paul LePage said Republicans need to “weed out” moderates from his state’s party. What you have left is a party that is increasingly extreme. And a party that, without moderates, has a complete inability to govern. Something needs to change. At some point, moderates need to stop being afraid of being labeled a ‘moderate.’ At some point they need to stop running from it, and start embracing it. We need moderates in this country, and we need people who aren’t afraid to stand up and argue for moderate principles. It is possible to be someone who believes the government can provide some services and help people while also being fiscally responsible and restrained. Good governing is not a team sport. It is not about team loyalty, about brand identification, about putting party first. It is about discussion, analysis, and compromise. You should be proud to be a moderate. Because, as a moderate, you grasp the complexity of issues facing our country and our world, and you grasp the complexities of governing. To the far left and far right, the world is so simple and easy. It is shaped by good and bad, black and white. It is clear-cut . . . and not realistic at all. Our system of government is broken. The far left and far right aren’t going to fix it. It’s up to moderates to stand up and not be afraid to have a voice again, to debate and discuss the complex issues facing our country, to look for ways to compromise and govern instead of leaving it to those who would act like impetuous children rather than statesmen and women. With this site I hope to add a moderate voice to that void in American political discourse. If you want to help give rise to moderates in this country, help spread the word. Follow us on Facebook and Twitter, tell your friends about us, and, most of all, stand up and be proud to be called a moderate.